From the second week of September through the second week of May, Camp Carl offers the opportunity for groups to get away and find seclusion and uninterrupted time for meetings, seminars, and fun. 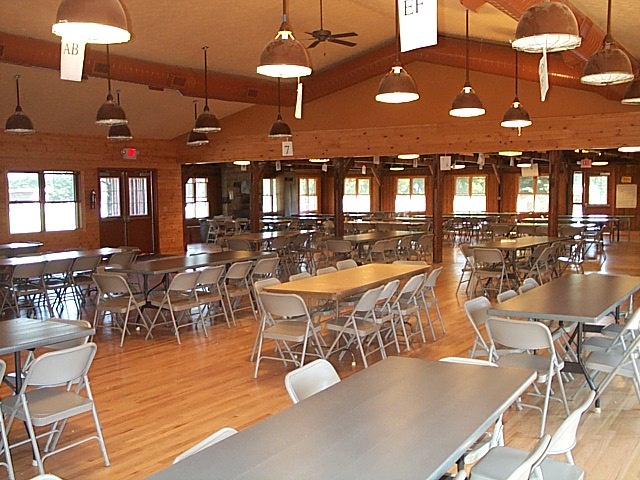 Fully winterized for comfortable year-round use, Camp Carl has group rental facilities which include: two-hotel style retreat buildings, a lodge for meeting and dining, a gymnasium (with a locker room and showers), a game room, and 12 cabins (complete with showers and restrooms). For team-building exercises or just for fun, we have an indoor ropes course, outdoor initiatives, a climbing tower, and a high ropes course that can be scheduled for your group. In addition, groups can schedule hayrides and horseback riding (weather permitting). Accommodations are available for groups of 15 to 200. Food service is available to groups of 35 or more. To learn more about renting Camp Carl, please download the Guest Retreat Contract (PDF, 916K). The Activity Release Form is also included if you decide to rent our facilities.